Anjum Mirza Chughtai Associate Professor; Department of Medicine, J.N.M.C., A.M.U., Aligarh, India. Keywords: Neurodegenerative diseases, Calcium Homeostasis. Background: Neurodegenerative diseases are those affect the central nervous system (brain, spinal cord) and peripheral nervous system. It is characterized by progressive loss of neurons and synapses in these nervous systems. Calcium homeostasis receives key attention in the past few years in the field of neuronal physiology of Ageing and Neurodegenerative diseases. Objective: The aim of this study was to evaluate Calcium homeostasis in patients with Neurodegenerative diseases. Methods: 50 subjects (36 males and 14females) with Neurodegenerative diseases. 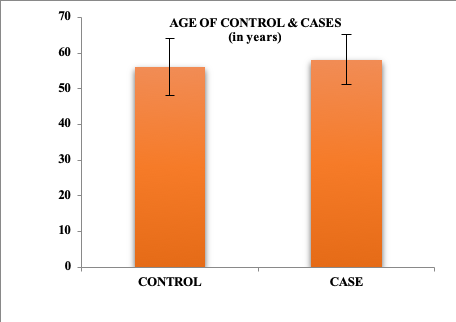 And same number of healthy age-matched subject control group was assessed. A complete & detailed neurological examination were performed in all individuals and clinically evaluated for the occurrence of Neurodegenerative diseases. Calcium levels were estimated using (Instrumentation Laboratory – IlyteTM) Automated Electrolyte Analyzer, with solution pack and reagents. Results: ‘The Serum Calcium (Ca2+) levels were estimated and comparison was done in both control and case group separately, for evaluating the changes due to ageing and in particular to neurodegenerative diseases. Conclusion: Neurodegenerative diseases showed significant differences in Calcium homeostasis. 1. Gowthaman R., Gowthama N., Rajangam MK., and Srinivasan K. Bioinformation. Database of neurodegenerative disorders 2007; 2:153. 2. Murray CJ, Lopez AD, World Health Organization. The global burden of disease: a comprehensive assessment of mortality and disability from diseases, injuries, and risk factors in 1990 and projected to 2020: summary. 3. Menken, M., T.L. Munsat, and J.F. Toole, The global burden of disease study: implications for neurology. Arch Neurol, 2000; 57:418-20. 4. Tai HC, Schuman EM. Ubiquitin, the proteasome and protein degradation in neuronal function and dysfunction. Nat Rev Neurosci 2008; 9:826–838. 5. Migliore L, Coppedé F. Environmental induced oxidative stress in neurodegenerative disorders and aging. Mutat Res 2009; 674:73–84. 6. Coleman P. D. and Flood D. G. Neuron numbers and dendritic extent in normal aging and Alzheimer's disease. Neurobiol. Aging 1987; 8:521- 545. 7. Gareri P, Mattace R, Nava F, De Sarro G. Role of calcium in brain aging. General Pharmacology: The Vascular System. 1995; 26:1651-1657. 8. Khachaturian ZS. The role of calcium regulation in brain aging: reexamination of a hypothesis. Aging Clinical and Experimental Research. 1989; 1:17-34. 9. Toescu EC, Verkhratsky A. Neuronal ageing from an intraneuronal perspective: roles of endoplasmic reticulum and mitochondria. Cell calcium. 2003; 34:311-23. 10. Olney JW. Brain lesions, obesity, and other disturbances in mice treated with monosodium glutamate. Science. 1969; 164:719-721. 11. Rizzuto R, Pozzan T. Microdomains of intracellular Ca2+: molecular determinants and functional consequences. Physiological reviews. 2006; 86:369-408. 12. Smaili SS, Russell JT. Permeability transition pore regulates both mitochondrial membrane potential and agonist-evoked Ca2+ signals in oligodendrocyte progenitors. Cell calcium. 1999; 26:121-130. 13. Smaili SS, Stellato KA, Burnett P, Thomas AP, Gaspers LD. Cyclosporin A inhibits inositol 1, 4, 5-trisphosphate-dependent Ca2+ signals by enhancing Ca2+ uptake into the endoplasmic reticulum and mitochondria. Journal of Biological Chemistry. 2001; 276(26):23329-23340. 14. Robb-Gaspers LD, Burnett P, Rutter GA, Denton RM, Rizzuto R, Thomas AP. Integrating cytosolic calcium signals into mitochondrial metabolic responses. The EMBO journal. 1998; 17:4987-5000. 15. D.G. Nicholls, S. Vesce, L. Kirk, S. Chalmers, Interactions between mitochondrial bioenergetics and cytoplasmic calcium in cultured cerebellar granule cells. Cell Calcium 2003; 34;407–424. 16. M. Brini, Ca2+ signalling in mitochondria: mechanism and role in physiology and pathology, Cell Calcium 2003; 34:399–405. 17. Bezprozvanny I. Calcium signaling and neurodegenerative diseases. Trends in molecular medicine. 2009;15:89-100. 18. Korol TY, Korol SV, Kostyuk EP, Kostyuk PG: Disruption of calcium homoeostasis in Alzheimer’s disease. Neurophysiology 2008;40:385- 392. 20. Stutzmann GE, Caccamo A, LaFerla FM, Parker I: Dysregulated IP3 signaling in cortical neurons of knock-in-mice expressing an Alzheimer’s- linked mutation in presenilin 1 results in exaggerated Ca2+ signals and altered membrane excitability. J Neurosci 2004;24:508-513. 21. Hagenston AM, Rudnik ND, Boone CE, Yeckel MF: 2- Aminoethoxydiphenyl-borate (2-APB) increases excitability in pyramidal neurons. Cell Calcium 2009;45:310-317. 22. Small DH: Dysregulation of calcium homoeostasis in Alzheimer’s disease. Neurochem Res 2009;34:1824-1829. 23. Fonseca AC, Cardoso SM, Pereira CF: Calcium and redox homoeostasis in Alzheimer’s disease: a focus on the endoplasmic reticulum.Ther Targets Neurol Dis 2014;1:1-13. 24. Wang JM, Sun C: Calcium and neurogenesis in Alzheimer’s disease. Front Neurosci 2010;4:194. 25. Green KN, Smith IF, Laferla FM: Role of Calcium in the pathogenesis of Alzheimer’s disease and transgenic models. Subcell Biochem 2007;45:507-521. 26. Arispe N, Rojas E, Pollard HB: Alzheimer’s disease amyloid beta protein forms calcium channels in bilayer membranes: blockade by tromethamine and aluminium. Proc Natl Acad Sci USA 1993;90:567-571. 27. Crompton M, Barksby E, Johnson N, Capano M: Mitochondrial intermembrane junctional complex and their involvement in cell death. Biochimie 2002;84:143-152. 28. Isaacs AM, Senn DB, Yuan M, Shine JP, Yankner BA. Acceleration of amyloid β-peptide aggregation by physiological concentrations of calcium. Journal of biological chemistry. 2006; 281:27916-27923. 29. Gomez-Villafuertes R, Mellström B, Naranjo JR. Searching for a role of NCX/NCKX exchangers in neurodegeneration. Molecular neurobiology. 2007;35:195-202. 31. Leissring, M. A., Akbari, Y., Fanger, C. M., Cahalan, M. D., Mattson, M. P., and LaFerla, F. M. J. Cell Biol. 2000;149: 793–798. 32. Yoo, A. S., Cheng, I., Chung, S., Grenfell, T. Z., Lee, H., Pack-Chung, E., Handler, M., Shen, J., Xia, W., Tesco, G., Saunders, A. J., Ding, K., Frosch, M. P., Tanzi, R. E., and Kim, T. W. Neuron 2000;27: 561–572. 33. Mark, R.J., Hensley, K., Butterfield, D. A., and Mattson, M. P. J. Amyloid -peptide impairs ion-motive ATPase activities: evidence for a role in loss of neuronal Ca2+ homeostasis and cell death. J. Neurosci. 15, 1995: 6239–6249. 34. Demuro, A., Mina, E., Kayed, R., Milton, S. C., Parker, I., and Glabe, C. G. J. Biol. Chem. 2005:280;17294–17300. 35. Tariot, P. N., Farlow, M. R., Grossberg, G. T., Graham, S. M., McDonald, S., and Gergel, I. J. Am. Med. Assoc. 2004;291:317–324. 36. Mouatt-Prigent A, Agid Y, Hirsch EC. Does the calcium binding protein calretinin protect dopaminergic neurons against degeneration in Parkinson's disease? Brain Res. 1994;668:62–70. 37. Surmeier DJ, Guzman JN, Sanchez-Padilla J, Schumacker PT. The role of calcium and mitochondrial oxidant stress in the loss of substantia nigra pars compacta dopaminergic neurons in Parkinson's disease. Neuroscience. 2011; 198:221–31. 38. Abou-Raya S, Helmii M, Abou-Raya A. Bone and mineral metabolism in older adults with Parkinson's disease. Age Ageing. 2009; 38:675–80. 39. Peterlik M, Cross HS. Vitamin D and calcium deficits predispose for multiple chronic diseases. Eur J Clin Invest. 2005; 35:290–304. 40. Van Den Bosch L, Van Damme P, Bogaert E, Robberecht W. The role of excitotoxicity in the pathogenesis of amyotrophic lateral sclerosis. Biochimica et Biophysica Acta (BBA)-Molecular Basis of Disease. 2006; 1762:1068-82. 41. Ince, P., Stout, N., Shaw, P., Slade, J., Hunziker, W., Heizmann, C. W., and Baimbridge, K. G. Parvalbumin and calbindin D-28k in the human motor system and in motor neuron disease. Neuropathol. Appl. Neurobiol. 1993; 19: 291–299. 42. Carriedo, S. G., Yin, H. Z., and Weiss, J. H. Motor neurons are selectively vulnerable to AMPA/kainate receptor-mediated injury in vitro. J. Neurosci. 1996;16: 4069–4079. 43. Von Lewinski F, Keller BU. Ca2+, mitochondria and selective motoneuron vulnerability: implications for ALS. Trends in neurosciences. 2005;28:494-500. 44. Mattson, M.P., Furukawa, K., Bruce, A.J., Mark, R.J., Blanc, E., 1997. Calcium homeostasis and free radical metabolism as convergence points in the pathophysiology of dementia. In: Wasco, W., Tanzi, R.E. (Eds. ), Molecular Mechanisms of Dementia. Humana Press, Totowa, NJ, pp. 103–143. 45. Surmeier DJ, Schumacker PT. Calcium, bioenergetics, and neuronal vulnerability in Parkinson’s disease. J Biol Chem 2012;288:10736– 10741.